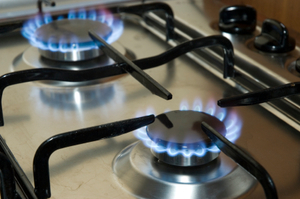 SSE Airtricity has announced that it will freeze its gas prices for its customers in Northern Ireland until April 2015. The move comes after a the electricity and gas supplier and the Northern Irish industry regulating body, Utility Regulator, conducted a half-yearly review into current pricing strategies. As a result, SSE Airtricity has effectively given its customers a two-year price freeze, having last implemented a price increase back in April 2013. The Northern Irish supplier currently has a base of 119,o00 gas customers in greater Belfast - representing a 71 per cent share of the market, compared to Firmus which has the remaining 29 per cent. Stephen Wheeler, SSE Airtricity's managing director, commented on the decision to freeze gas prices. He said: "I'm please today that we're announcing once again that we're holding our regulated natural gas prices. This represents an effective two-year price freeze of our natural gas tariffs up to April next year for our home and business customers. Mr Wheeler added that the company has been able to introduce price stability to the natural gas market in Northern Ireland by utilising its expert knowledge of the wholesale market since purchasing Phoenix Supply in June 2012. He concluded, adding: "Today's announcement demonstrates how we're passing on the benefits of that scale and expertise to help smooth the impact of price movements on customers' bills."